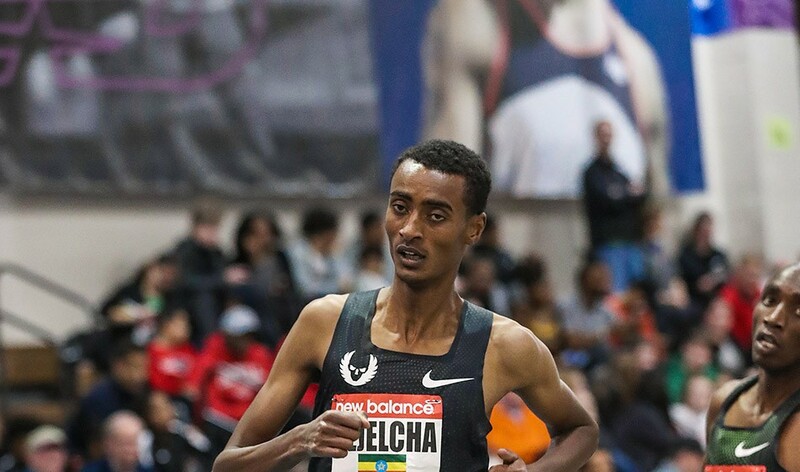 Yomif Kejelcha, the world indoor 3000m champion in 2016 and 2018, is hoping to break Hicham El Guerrouj’s world indoor mile record of 3:48.45 at the 112th Millrose Games on Saturday. Kejelcha is still only 21 but in addition to his world indoor titles he finished fourth in the most recent Olympic and world 5000m finals and has outdoor PBs of 3:32.59 for 1500m, 7:28.00 for 3000m and 12:46.79 for 5000m. This was before moving to the United States to be coached by Alberto Salazar, too. Now part of the Oregon Project, Kejelcha’s world record attempt has been well publicised with his training group even releasing a promotional video about it. He faces tough opposition on Saturday in New York, though, including the second fastest indoor miler in history, Edward Cheserek of Kenya, plus Nick Willis of New Zealand and Britain’s Josh Kerr, who was runner-up in the same Wanamaker Mile race last year. Elsewhere at the meeting, Donavan Brazier could threaten Johnny Gray’s long-standing US indoor 800m record of 1:45.00. He faces, among others, Kenyan Michael Saruni. In the women’s 800m, Ajee’ Wilson will similarly be attacking Nicole Teter‘s 1:58.71 US record. The women’s mile sees Germany’s Konstanze Klosterhalfen, who like Kejelcha has recently moved to train in Oregon, plus Colleen Quigley among others. Michelle-Lee Ahye of Trinidad & Tobago faces English Gardner of the US in the women’s 60m. In the field, Joe Kovacs takes on fellow American Ryan Crouser.